The first real warmth of spring has burst into life, with bumblebees already busily buzzing around. Despite the cold and extremely wet winter, and late spring, initial bumblebee numbers appear to have survived well. 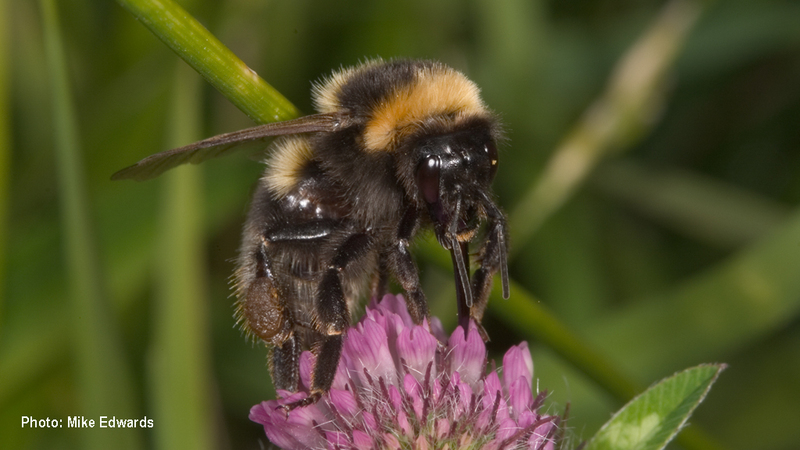 The bumblebees are often most noticeable in spring, as it's only the big queen bees that will have successfully overwintered which are first to emerge and seek out early pollen and nectar food sources. They need to quickly build and develop their nests; to start laying eggs and brood raising that will develop the colony over the summer months. Now is the time when wildflowers can be planted that will provide the essential food sources over the summer for the bumblebee numbers to build up. Soils are warming up quickly, and there is still sufficient moisture to support rapid germination and establishment. New Syngenta Operation Pollinator research and trials - in association with ASDA and UK vegetable growers - has shown that planting fast growing annual wildflowers in spring can create an extremely valuable food source, which is extremely attractive to visiting pollinators and other insects. Other habitats do also ideally need to be provided - including undisturbed fescue-dominant long-grassy areas for nesting, along with natural perennial flower areas that can support a long season of flowering food sources - but every additional annual wildflower is valuable to support bees and other biodiversity across the golf course and sports areas. 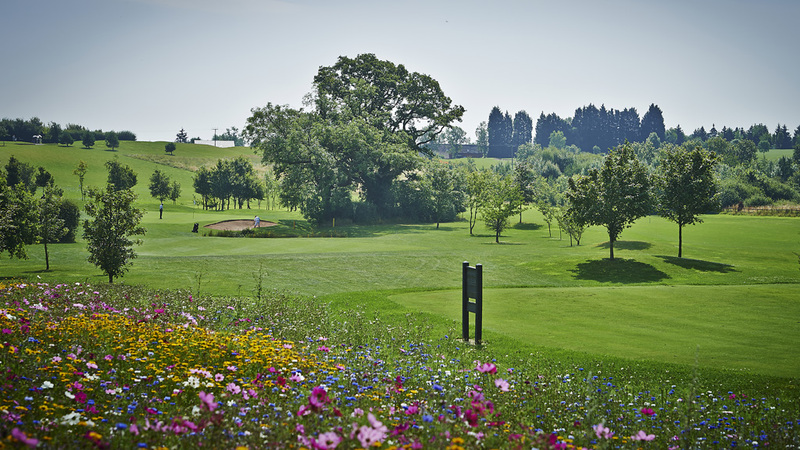 In fact, golf courses and sports areas can provide excellent habitats for pollinators, without any impact on play and, for many visitors, enhancing their overall experience. Out-of-play rough can be an ideal undisturbed habitat for wildlife, whilst planting wildflowers can be a visual enhancement that adds to course design and enjoyment for visiting golfers and public. Joining the Operation Pollinator initiative is an easy and quick way to help to get the most out of wildlife habitat areas, and to demonstrate the great work that green keepers and groundsmen are doing to support ecology. It's free to join and with no hard-and-fast obligations, but has created a powerful voice and awareness of the industry's commitment to enhancing the environment. It provides a host of resources to proactively promote the good practices and results, as well as having demonstrated that high quality playing surfaces can, and do, happily co-exist alongside an active and vibrant environment. There is already nearly 100 golf courses signed-up to the Operation Pollinator community - and still time to get onto the Active Ecologists First 100 golf course listing.